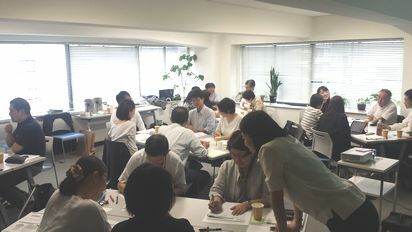 On June 15, 2018 in Tokyo, Amnesty International Japan and Asia-Pacific Human Rights Information Center (Hurights Osaka) co-sponsored the “Seminar for instilling more awareness on business and human rights in your company.” Twenty three people who were responsible for corporate social responsibility and human rights joined the seminar. Takeshi Nozawa, our CEO and Managing Director, facilitated the workshop for participants from companies to share their own issues with their participants and categorize them for finding solutions. · Have clearer perspectives on business and human rights and on how to implement human rights due diligence in their daily work. The questionnaire after the seminar received positive answers, including “It was straightforward and helpful,” and “I could get some hints from in-depth workshop and presentation on what other companies are doing. I think we will be able to start actions quickly.” We are delighted to know that the workshop also gave an opportunity for participants to get concrete tips from the cases and real circumstances of other companies.